I’m not one to take pleasure in another’s misfortune…most of the time. But, when I saw the quote below I have to say that it hit the nail on the head for me and a lot of cycling fans. 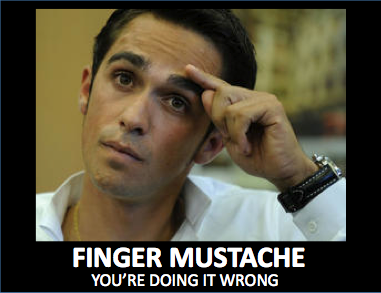 Thus, my ‘homage’ to Contador. 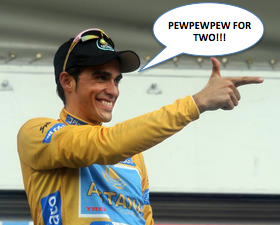 Every time Contador crashes an angel gets it’s wings.